Online shopping may be convenient but it certainly lacks the personal touch and customer service that local shops provide. We are guilty of doing much of our shopping online but when we do head out to pick things up for ourselves or to select gifts for others, we usually make a b-line for The Old Town Alexandria Boutique District. There are so many cute and unique shops that are owned and operated by great people in our community and we love being able to support these hard working individuals. Not to mention their stores are filled with thoughtful and noteworthy items that you just can’t find in a generic department store. A few of our favorite shops in the Old town area are: The Shoe Hive, She’s Unique for jewelry, Current Boutique for consignment and vintage and our new favorite Coco Blanca for fashion and home decor. We recently had the opportunity to collaborate with our new friends at Coco Blanca for a few style posts for local blog, Alexandria Stylebook. We had so much fun playing dress up with their beautiful selection of clothing for the holiday inspired shoot that we took part in; one look was casual and the other dressy. We were completely obsessed with the outfits we wore but both were drooling over the fur vest featured in Michelle’s look (hint hint hubbies!). Not only were we wanting to fill our closets with everything Coco had to offer but we also were dying to get our hands on some of their beautiful home decor! The second you walk into Coco Blanca you feel right at home, you may just want to move right in. We know we did! The store’s color palette is made up of a refreshing blend of sophisticated whites and neutrals, elegant tone on tone textures and delightful splashes of turquoise. 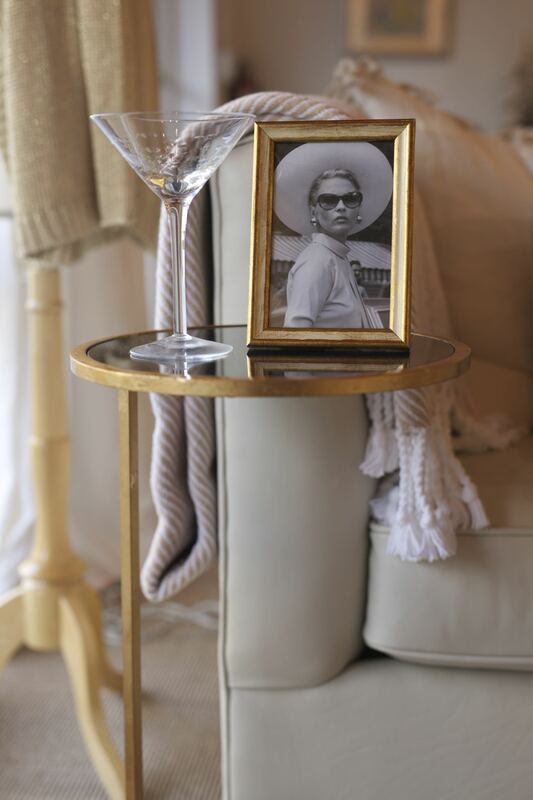 Susie, Gayla and Elisabeth, the partners and brains behind Coco Blanca, certainly have exquisite taste and have carefully curated their store with treasures every girl would dream of filling her home with. We know where we will be heading when the time comes to update our home decor! If you live near or are visiting the Alexandria area soon, we recommend you pop into our new favorite local shop as we think you will become just as hooked as we have! Whether you are looking for a gift, to update your home decor or are shopping for yourself we promise the ladies at Coco Blanca will help you find a timeless piece that you or your recipient will enjoy for years to come. All items pictured are available for purchase at Coco Blanca. All photos were taken by Noelle Turbitt of Carrow Vines.